When KTM first launched their race replica 125, it was to go head-to-head with Yamaha's YZF-R125, Honda's now-defunct CBR125R and Aprilia's four-stroke RS125. Since then, new contenders such as the Suzuki GSX-R125 have also muscled in on the action, however the KTM remains a serious contender for the sports 125 crown. This is a propersized bike with a spacious, sporty riding position and plenty of room even for a six-foot big un', which offers the ideal introduction to two wheels. The RC125 got minor updates for 2017, and didn’t get the kitchen sink thrown at it like the new 125 Duke. Changes are restricted to a tweaked Euro4 engine, featuring the same new side-mount exhaust and a bellypan, but there’s no ride-by-wire throttle here. Engine and front brake disc size aside (the 125’s is 20mm smaller diameter) the latest 2017-onwards RC125 is identical to the larger RC390. You get the same level of spec, practicality and wide sticky tyres, meaning there’s far more grip than there is power to trouble it. The brakes do the job too, but they aren’t overly sharp. And there’s no denying the fun factor, with the challenge of keeping up momentum making it an even bigger hoot than the 390. 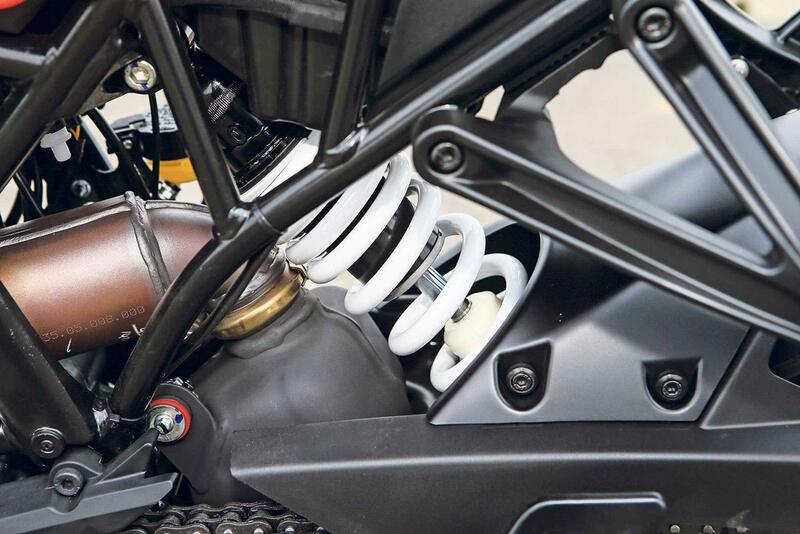 The RC’s steering bears all the right sportsbike hallmarks – it's light, flickable and capable of lightning direction changes. On the road it’s just brilliant, bowling along with the motor in its sweet spot, dancing on the gear lever, holding off the excellent brakes for as long as possible. The limiting factor when pushed hard, surprisingly, isn’t the tyres - it's the suspension. The RC’s WP forks and shock feel budget and can, under hard cornering, lose control and start chattering mid-corner.  You’d think being WP – who are owned by KTM – it would be better. Limited to 15bhp, the KTM RC125 is easy to assume the RC’s engine will be similar to other 125s – and, at first feel, it is. The throttle is effectively an on/off switch, and the motor needs a big smearing of clutch to get away at the lights, just like a two-stroke. But the gearbox is smooth and clutch action light, so it’s easy to blend drive into one long slur of acceleration. And once rolling, the engine doesn’t feel artificially restricted; it gathers momentum smoothly and with as much gusto as the law permits. There’s nothing of substance below 8000rpm and by 10,500rpm it’s all over, but 2500rpm is just wide enough to hold 60mph at a vibe-free 8000rpm. Top speed is an indicated 84mph, however in reality that is more likely to be around 71mph to 75mph. In 2017, the RC125 gained a number of updates to help it comply with Euro4 regulations. This included the bike's engine, which was slightly tweaked. As a result, the current RC is a lot smoother than it's A2-compliant brother; the RC390. Designed in Austria and built in India, the KTM RC125 features quality components like WP suspension and Bybre brakes (Brembo's Indian division). Despite this, there have been some instances of electrical problems letting the bike down, including relays and battery woes, with some owners complaing of breakdowns as a result and others complaining of relays catching fire under the petrol tank. All parts have been replaced under warranty though, which comes with the bike for 24 months after purchase. Big-bike looks, great steering, a sweet engine, good brakes and clever features at a premium price stand the RC in good stead for being top of the 125 tree. At a current cost of £4399, it is slightly more expensive than some of its rivals - which is fine, as long as build quality issues don't emerge. It does lose a few points for cheesy details and feeble suspension. The sports 125 market is currently saturated, with the majority of the major manufacturers producing L-plate friendly miniature supersports, designed to capture the imagination of any soon-to-be biking teen. 2017 marked the introduction of the latest bike in this class; the Suzuki GSX-R125, which offers all the same performance as the KTM, however with a slightly cheaper feel - which is reflected by its £4099 price tag. In that same year, Kawasaki announced a faired Ninja 125 and naked Z125, however these are not expected until the end of 2018. The cheapest of the sports 125 line-up is the dependable £3999 Honda CBR125R, which sacrifices some top-end performance and quality components to deliver a more accessible all-round package. Unfortunately, this has now been dropped from Honda's line-up and replaced with the naked CB125R, meaning finding a new machine will depend entirely on the amount left in the dealer network. How about some Italian exotica? Sitting at the top of the price ladder is the exotic Aprilia RS125. At a penny shy of £4700, the RS name pays homage to Aprilia's former two-stroke RS125, which captured the imagination of teenagers across the globe. 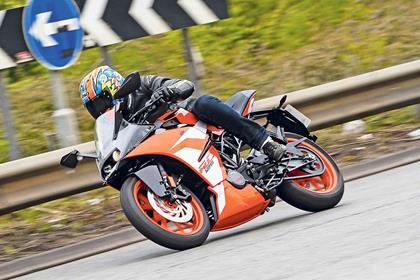 No longer leaving a plume of blue smoke in its wake, the performance and handling are on a par with the KTM, however it is hard to justify its additional cost. Superficially the KTM RC125 looks the part. 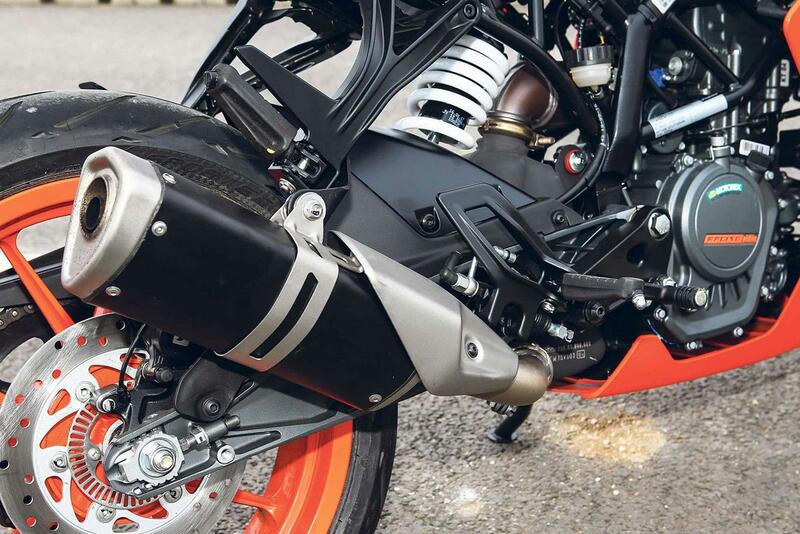 Its sharp, angular fairing, tank and seat unit maintain a KTM family resemblance, looking almost identical to the firm's larger A2-compliant RC390. It also bears similar graphics and jagged edges as much of KTM's current range and under the skin there are good ideas as well some obvious budgetary constraints. Unlike the naked 125 Duke, the fully-faired RC doesn't come with KTM's coloured TFT dash, which also offers mobile phone connectivity. That said, the clocks are well spec’d, with a fuel gauge, gear position indicator and various trip functions. On the move, it can feel slightly cluttered, though and you do miss certain details unless you really focus on them. The pillion pegs are nicely sculpted and the tail unit is made from soft rubber, which looks like a solo seat but is actually a pillion pad. Although there is no official option to convert it to a single seat, there are multiple tail bag options in the Power Parts range, to make it more practical. 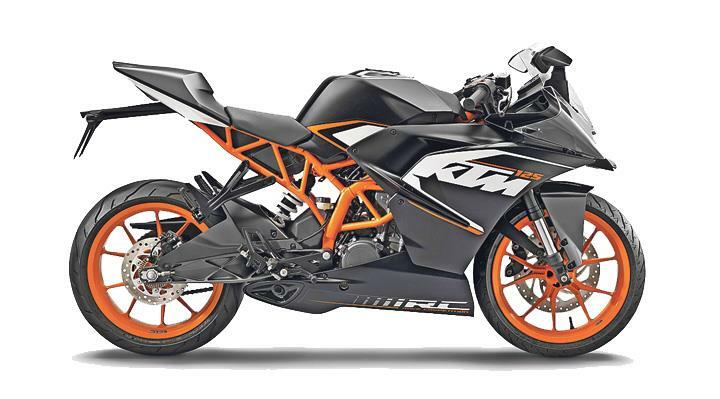 The KTM RC125 was launched in 2014 and followed the ever-popular upright 125 Duke, which first arrived in 2011. This was the same year that KTM launched the larger, 373cc 44bhp RC390. 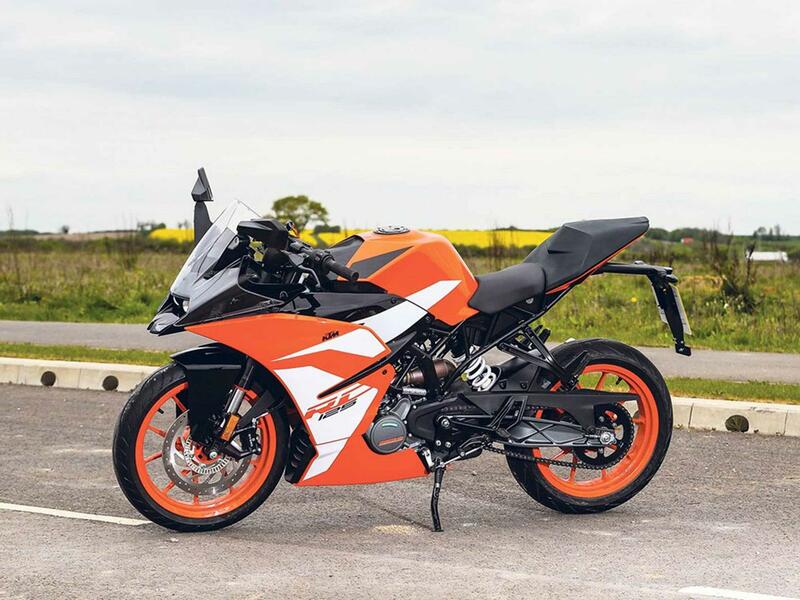 Designed for the A2 licence market, it is a genuine sportsbike for the restricted rider; with great handling and capable of a top speed of over 100mph. Both machines have since recieved updates, with both bikes last changed in early 2017 to comply with Euro4 regulations. The Duke was then subsequently recalled for a problem with the headlights. Sporting the same side-mounted exhaust as the duke and a new belly pan, it also gained a slightly-tweaked engine and did away with the ride-by-wire throttle of the older machine. 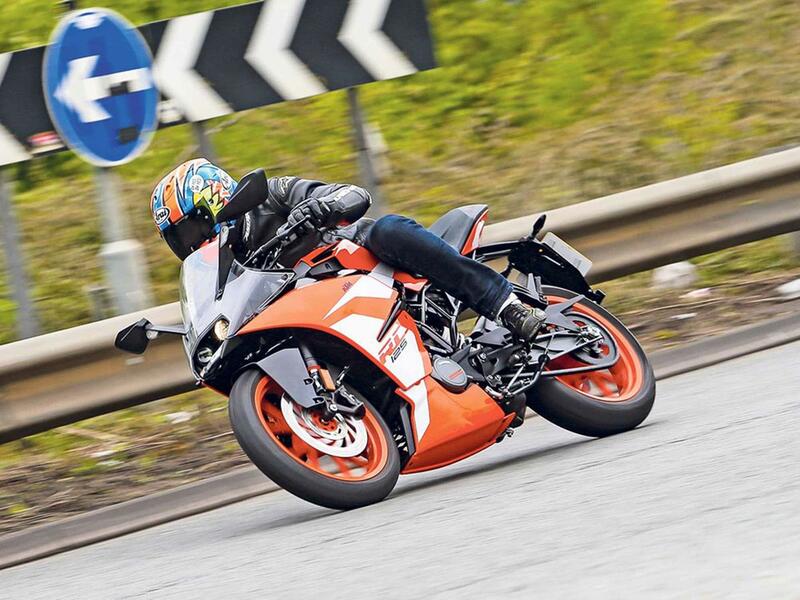 2 owners have reviewed their KTM RC125 (2014-on) and rated it in a number of areas. Read what they have to say and what they like and dislike about the bike below. An absolute gem of a bike, love it! My first bike after a break of 40 years. It's a bit pricey, but I got it on a special offer. The bike looks absolutely stunning and gets loads of attention and favourable comments from people of all ages. This bike is really fun to ride. If you can accept the small niggles mentioned below, this is an awesome bike and I absolutely love it! I am 6ft 1 and was concerned that a 125 would be too small for me but this bike is almost the size of a mid capacity bike. A fantastic bike to ride, especially on the twisty country roads. I am 60 years old and intended to ride fairly sedately, but this bike seems to demand that you open up the throttle and its very exciting and great fun and you just can't resist it! The bike has a top speed of around 80mph (headwinds permitting), but as it's so light, it's a bit scary on the motorway (I live in Spain and am allowed to ride on the motorways - and take a passenger without a full licence). This bike is not great for a pillion passenger who is perched very high up on the raised rear seat making the bike feel top heavy and unstable. Also has a pretty firm seat that gets a bit uncomfortable within 60-90 minutes, and you'll need to take a break. Also, my bike came with Indian tyres and for the first 2,000 kms the back end would slip a little on a hard bend which could be quite alarming, (I never lost it though) but rides perfectly now that the tyres are worn in. The brakes are good and it comes with ABS as standard. Great acceleration, sounds quite good (for a 125), runs smooth enough for a single cylinder. Also, very economical to run, around 90 mpg and with a good tank range. I have had the RC125 for 2 years, it broke down early on as a result of a faulty battery, which was replaced under warranty. No problems since then after 7,000 km. That's 100 Euros btw. Very economical to run in terms of fuel consumption. Good display that gives you all the info you will ever need. The list price was 4,400 Euros (quite a lot for a 125) but I got the bike on special offer for 2,999. The price is back to 4,400 at the same dealer now. Brought this to start getting into bikes again and it has done its job. With it being so light weight able to throw is around corners with great control. Being a 125 speed was something knew it would lack but makes up for it in acceleration and comfort. Ride quality is good as your not to hung other the tank all the tine. Helps save your back for a few more years. Brakes are good rear one is almost to responsive and has almost cost me to lose the rear end a couple of times. Being a slightly heavier guy 85kg has meant the rear shocks go down a bit. This brings up the front causing the light to shine into cars. Not an issue for me but people do seem to get a bit annoyed about it . As I said earlier the engine is good a reliable. You know your know going to be going fast on a 125 but can get 86mph. Acceleration is good and helps you to pull out winding corners. Had an issue early on with the bike where the high beem rely set on fire. Not what you want to see under a fuel tank. Luckily warranty covered it if not would have been cheap to replace. The rest of the bike is solid. No other issues and you have the ability to upgrade the majority of the bike. Cost 8 pound Max to fill up which is nothing. Last 170 miles is depending on the riding your doing. Services are priced just as any others are so you should know what to expect . The equipment is amazing with the standard ktm speedo allowing you to see everything. The only annoying thing about it is the flashing red light (which indicates to change gears) is set to low . However this can be altered to suit your riding style. All finger controls aren't put of reach so easy to indicate, full beam, flash and beep. Brought from a dealer which I do recommend as it gives you the safety with warranty should anything happen. They didn't try and upsell much but can by cheaper alternative which are just as good online.